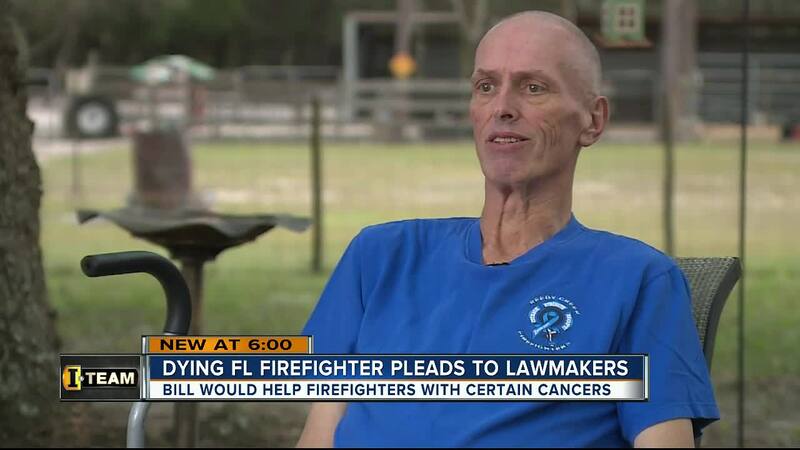 Retired Polk City Captain James "J.J." Jablonsky didn't live to see Florida pass a law to help cancer-stricken firefighters and their families. The 54-year-old career long firefighter passed away on Thursday, April 6, 2017 at his home. 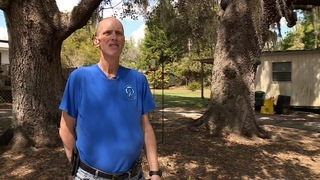 Less than one month earlier, J.J. and his wife, Deb, invited our cameras to their home where J.J. wanted to speak out about the need for Florida lawmakers to pass a cancer presumption bill. 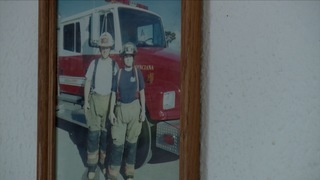 The bill would provide benefits to firefighters stricken with certain proven job-related cancers. While J.J.'s colon cancer wouldn't apply, J.J. wanted to let lawmakers know how he felt about firefighters' need for state help. "Get off your butts, get this in place," J.J. said to lawmakers during our interview with him in March. "What are you waiting for, how many more firefighters," his wife Deb told us when we also asked her what she wanted to tell lawmakers. Currently, 37 other states have passed legislation to help firefighters with cancer. The League of Cities in Florida has voiced concerns about how such a bill would burden tax payers. According to the League, the bill would result in significant increases in expenses for local governments for workers' compensation and disability pension benefits. J.J. was born October 2, 1962 in Mineola, NY to John and Emily Jablonsky. He then moved to Florida about 25 years ago from Port Washington, NY. 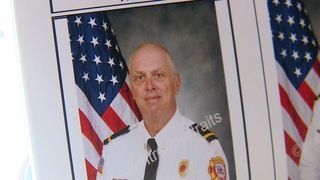 J.J. recently retired as a Captain/Firefighter for Polk County Fire Rescue and was of the Christian faith. J.J. was also a member of the International Association of Firefighters, the Critical Incident Stress Management (CISM) Team and Mounted Search and Rescue Team (MSART). He was preceded in death by a stepson, Jason Walker and his parents. 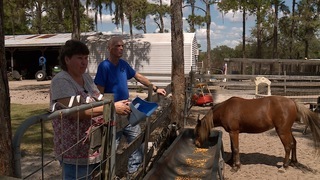 He is survived by his wife of 16 years, Deb Jablonsky; a stepdaughter, Traci Walker; a brother, Bill Jablonsky; his father-in-law, James Nasman; and brother-in-law, Michael Calder. The family will receive friends from 11:00 a.m. until noon, Thursday, April 13, 2017 at Northridge Ministries, 2250 FL-17, Haines City, FL 33844. A Memorial Service will begin at noon. Help for Florida teachers failing state test, but will state’s solution save them?